Valance sheets made for longer and larger beds. If you cant find your size here please contact us for a quote. 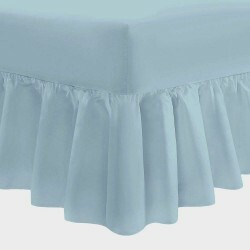 Fitted sheet with frill attached. An easy way to cover your mattress and hide under bed storage or a..